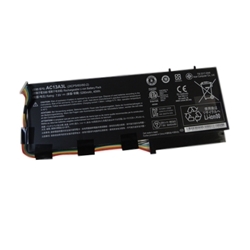 Description: New Acer Aspire laptop battery. 7.6V, 5280mAh, 40Wh, 4 Cell. Compatible Part #'s: AC13A3L, (2ICP5/60/80-2), KT.00403.013. Acer TravelMate X313, X313-E, X313-M.